Join us to explore the countryside around Stanwick lakes. We will walk along lakes to the abandoned medieval village of Mallows Cotton. 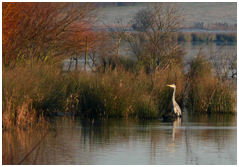 Stanwick Lakes is a natural reserve in the heart of Northamptonshire’s beautiful Nene Valley. We will come back at the Stanwick lakes by crossing the village of Little Addington. Gear: Comfortable and warm clothes and footwear, better hiking boots because the path may be muddy, and waterproof clothing. Always carry sufficient of water with you. This entry was posted in Blog, Local walk, News, Past events, Walks and tagged addington, cotton, lake, little, mallows, nene, Stanwick, valley.